The genus Cocytius has 2 species in the USA, and 6 around the world. This is a New-World genus, found only in the Americas. 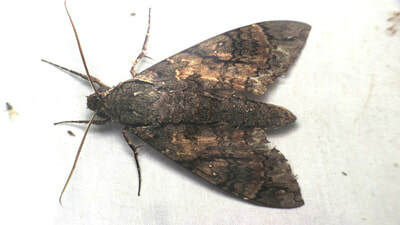 General Information: These are large moths, most have brown mottled forewings with various markings. Some of the species have clear paneling on the hindwings. Most species have very large proboscises.